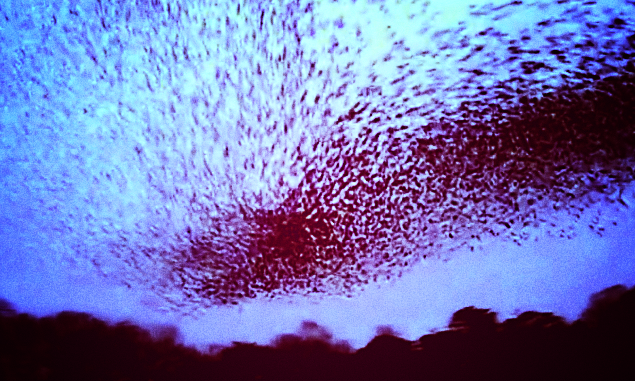 Red Sandstone Hill: The Murmur, the Murmuration. Lost in time & dim distances. Where the hooded heron is stalking eels. Knitting threads of many voices. Whip lash accumulation of life force. So do the birds, into the reed-refuge.